One of the fashion capitals is saying good bye to the week of fashion and we are here to witness the best street style looks and hairstyles 2017 from NYFW street and beauty bunnies. For sure going to runways and high fashion designer collection could make it easier to determine the trends coming on, but I am deeply sure that it is the street style that determines the fashion directions for millions of people. Before the trends come down to crowd from red carpets and runways, we can already smell what is there to be fashionable in hairstyles next spring and summer. Forever scandalous, forever extravagant and forever adorable pixie haircuts have always been the controversial point for discussions and fashion trends. Short haircuts for women are not very long in the mainstream, and for long time it has been considered not womanly and only long hair can adorn women's heads. But once the pixie haircuts came into fashion, they seem to never go out. Short haircuts have tendency to be dull and boring, this is what may seem at first sight. But if go through this article with celebrity short hairstyles, we will see that from classy blonde to natural hairstyles for black women, pixies rock the world. While we have definite hair trends for long hairstyles and see here and there celebrities and top models with their model long hairstyles, there still remain some of our favourite celebrities that do not rush for mainstream tendencies and they own style. 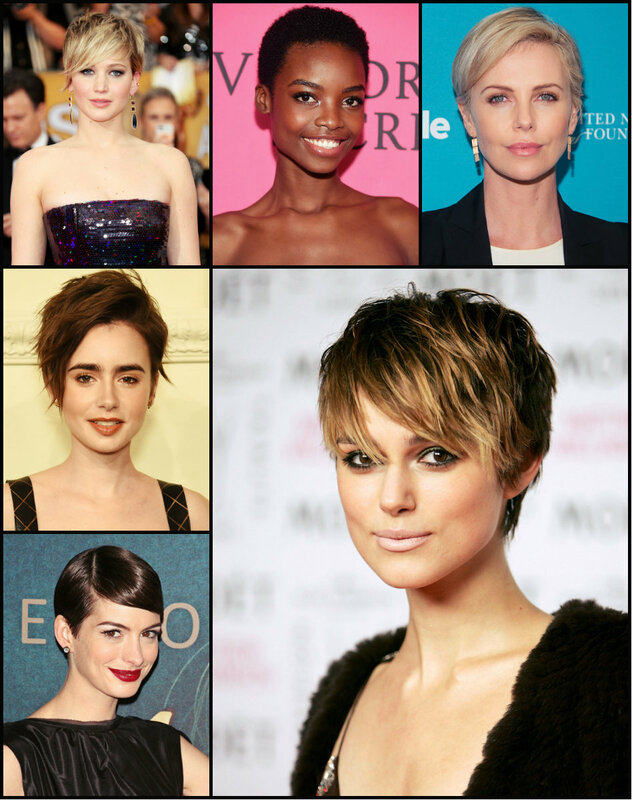 These very celebs go on wearing short hairstyles this summer/fall 2015 season. On some of the we see forever popular bob hairstyles. And of different types - angled bob hairstyles, straight bob, a-line, super short bobs. The other prefer pixie haircuts - classy pixie cuts, pixies with longer bangs, spiky pixie. 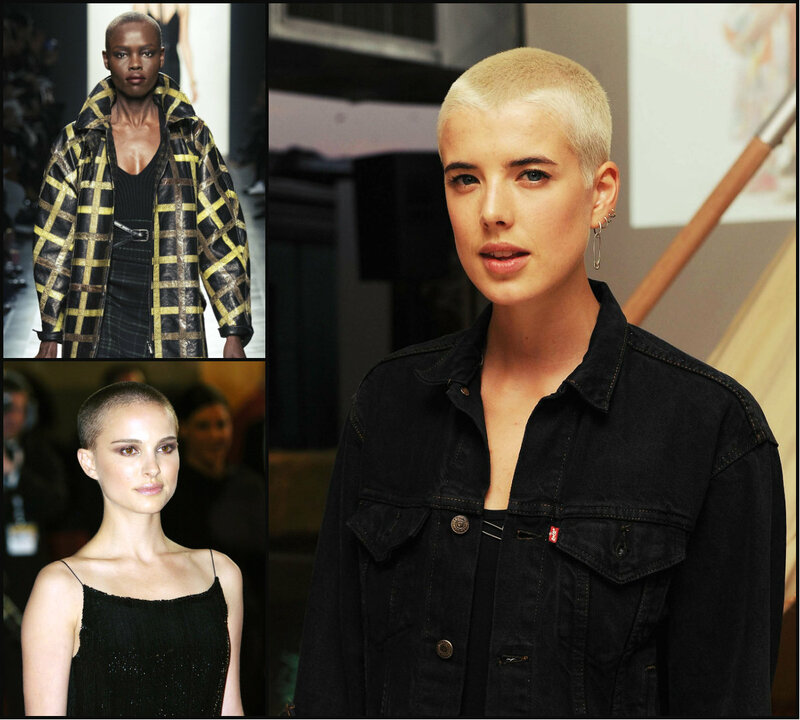 Why do we see celebrity short hairstyles 2015 when long hair is more trendy? This is simple - it is the style! When one has its own way. Now that cold day are gone, all ladies seek for a new image. First we come to wardrobe, then rush for bags and other accessories, we choose new perfume to smell like summer, we try new solutions in make up to follow the trends, and for sure we come to seek for brand new hairstyles for summer 2015. And here we face a problem: after long dull days of winter, spring has brought into our lives a bit of sun and courage, still we have either long hairstyles that grew up through the winter, or we have bangs that appeared because in cold days we preferred not to cut hair short, or we can have whatever. But now that the summer is here, we should follow hair trends 2015 and change to super trendy looks. Hair trends 2015 are sporting long hairstyles, this is universally known and accepted. Long hair is gorgeous, and at the same time it is not easy to take care of. Wearing long hairstyles requires time to manage the tresses into some hairstyle. And what if you do not have that time, but you do want to look stylish and fashionable? The answer is pixie haircuts. his is what every modern busy woman will nee. 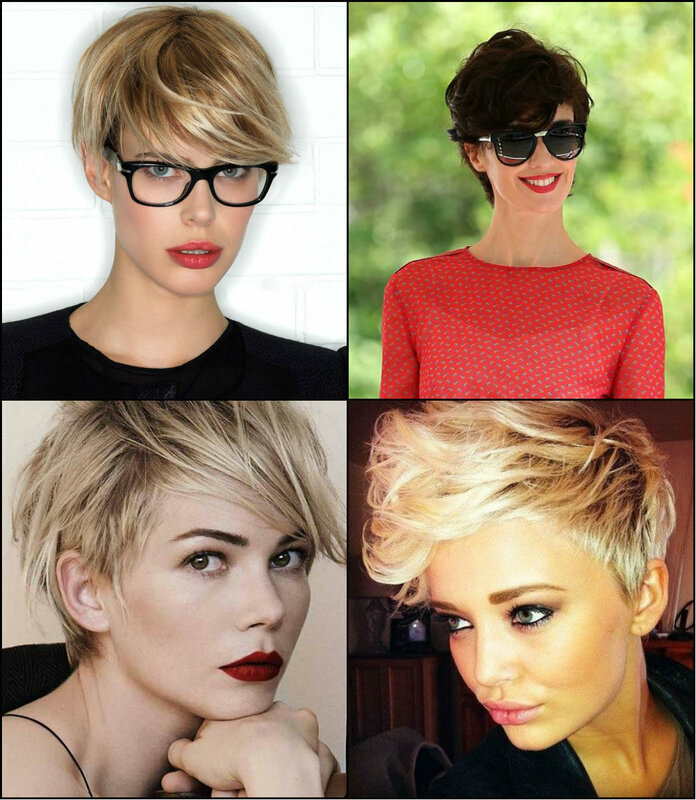 Popular pixie hairstyles are easy to maintain and take care of, besides they look super stylish, daring and confident that is quite important for a woman involved in some kind of business.